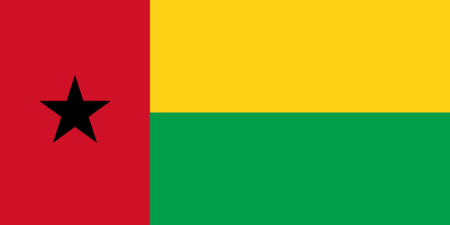 The Republic of Guinea-Bissau is a fairly small country on Africa's west coast that borders Senegal and Guinea. Bissau, the name of the capital city, was joined to the original name of Guinea to avoid confusion with Guinea and Equatorial Guinea. Formerly the Kingdom of Gabu, and then part of the Mali Empire, the area was explored by the Portuguese in the 1500s and colonized by them in the 1800s. Independence was gained in 1974, but Portuguese remains the official language (though in fact only a minority of the population actually speaks it), and a sizable Catholic minority coexists with the Muslim majority and the substantial portion of the population that practices traditional African religions. Guinea-Bissau is one of the world's poorest nations, due in no small part to the political instability that has plagued the country since it broke free of Portugal; in fact, not a single president yet elected has completed the allotted 5-year term, and a military junta has ruled since a coup in 2012. When it comes to sports, the country's pride and joy is the Guinea-Bissau National Football Team, which however remains one of the lowest-ranked in the world. There is no evidence that golf has ever been played here and, given the ongoing instability and poverty, this situation seems unlikely to change any time soon.